Wedding photos are such a critical component to consider when you’re planning a wedding. This is because the photos will last forever. Whenever you want to go back and remember your wedding day, you can pull out the beautiful wedding photos. However, when the big day comes, time moves so quickly. As a result, it can be challenging to get the perfect photos of you and your spouse. In order to make sure you have an awesome wedding photo shoot that is stylish and flawless, consider the following tips. There are plenty of couples who understand that there just isn’t enough time on the big day to get everything done. As a result, they’ll schedule the bridal shoot for a different day. 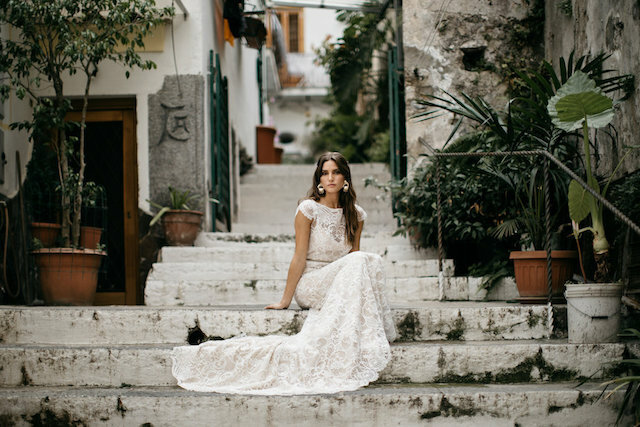 If you’ve purchased one of the fabulous wedding dresses in Columbus and don’t want your spouse to see it before the wedding, schedule a day after the wedding. Both of you will be able to feel relaxed without the pressure of a tight time constraint. There are plenty of women who love to look red-carpet ready every day. If you’re not this woman, it’s time to do your research and find a glam squad. A glam squad consists of a stylist, hairdresser and a makeup artist. Prepare your look ahead of time. Your stylist might even be a friend who accompanies you as you pick out your ideal wedding dress. There are tons of websites and social media platforms that showcase amazing makeup artists and hairdressers who will be willing to travel on the actual day of the photo shoot. Consider these options as you prepare to look flawless for your photos. Once you’ve done everything you can in order to prepare for your special wedding photo shoot, it’s important to relax and let things flow. Enjoy the moments as this is a special time in your life. You don’t want to get so lost in the details that you miss the celebration. Do your due diligence to prepare and then, have fun!